One of my basic tenets when it comes to Magic finance is patience. I don’t want to repeat a mistake I made, trading for a foil mythic the week it came out and paying far more than I needed to for the card. Let’s be clear: I’m talking about cards for your Cube, your Commander deck, your non-competitive decks. 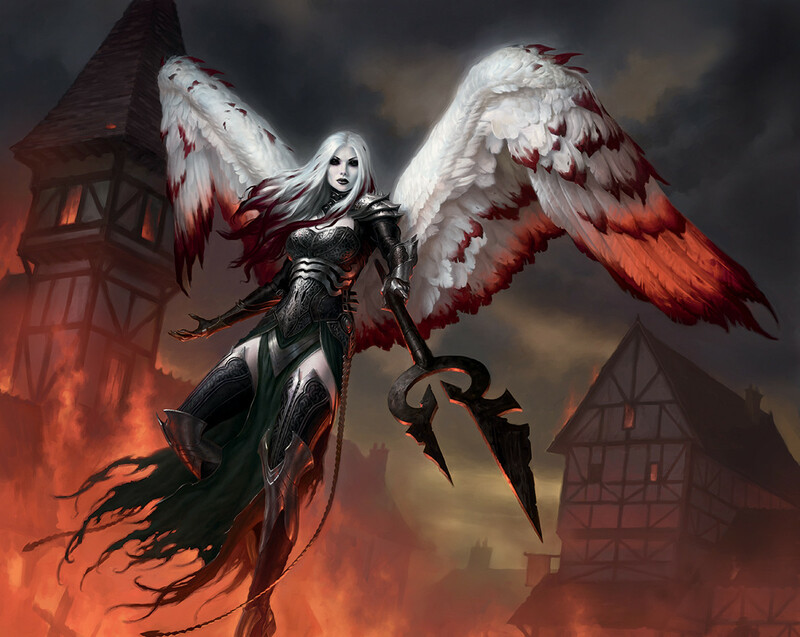 If you need a card right away for Standard, well, you’ll pay what you need to for the card you want, and that is why Archangel Avacyn is a $50 card currently. She is seeing play in a range of strategies, she’s a double-faced mythic, and her casual appeal is very high too. The perfect storm of being expensive. Her price has been one of the few that has ticked upwards since the set has come out. Our price tracker has her at $30 when released, and she’s been as high as $60. She is the outlier, though; lots of other cards have come down in price. Today, though, I want to talk about those other cards, and evaluate two in particular. It’s a truism that most cards get cheaper as time goes on and a set is opened more. You can see that in almost all of the cards from Shadows over Innistrad. Almost none have gone up in price, and some have come down quite quickly. It’s been a month and we can prices starting to stabilize, based on how much they have been played and been featured on camera. Let’s look at Olivia, Mobilized for War, in foil because I have an all-foil Vampires deck. Now, I have the magpie curse. I love shiny versions of cards and I pick them up whenever I can. I accept this as part of who I am, and I curse that the regular version isn’t good enough for my Commander deck. This Olivia is a house in Limited, a cheap and good-sized flyer who grants haste to your next plays without costing any mana. Being free of a mana cost is why Lightning Greaves is better than Swiftfoot Boots, even as hexproof is better than shroud. I hesitated at first, thinking that I don’t always want to pitch a card to make things bigger and hasty, but then I realized that it’s no-downside. You don’t have to, unless you want to. So I decided I was going to add her to the deck, and then it became a waiting game. If I had pulled the trigger right away, that is a $25 foil. Not unreasonable for what she does, and if she blows up Modern (not impossible) this could be more. Still, that was more than I wanted to spend, so I decided to wait. And wait, while it ticked downward. And wait a little more, as the psychological need to acquire got stronger. I finally pulled the trigger Thursday morning, because it was down to $15 and I doubt it’s going to fall much further. I admit, the small tick downward in the buylist price has me thinking I should have waited, but frankly, I’m okay with a minor cost in order to get what I want now. 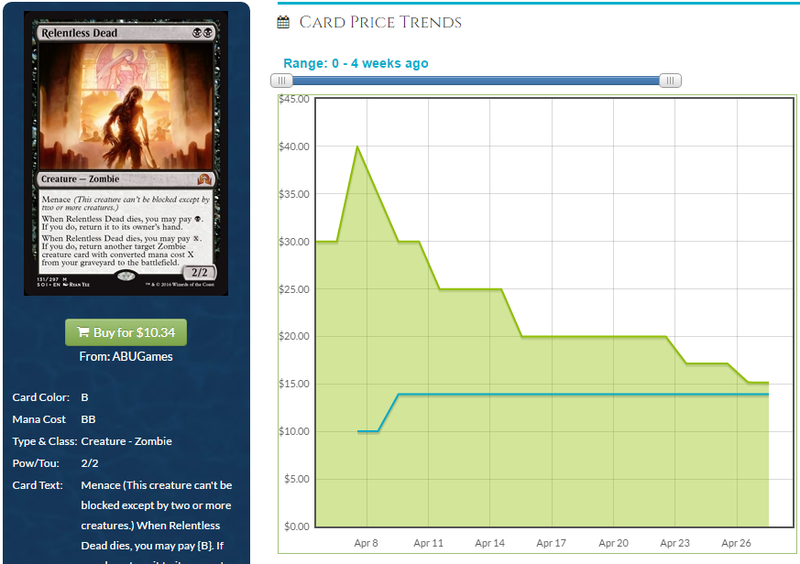 The same thing happened with Relentless Dead, where it’s dropped to about $15 in foil from highs of up to $40, but more interesting is that the spread (the difference between the highest buylist and the lowest vendor) is really close to zero. In each of these cases, waiting saved me significant money. Right now, I can get two for the price that one would have cost me at release. One thing I find quite interesting is how close the foils and non-foils are to each other. Generally speaking, foils are two to three times as expensive as the nonfoil. These ‘should’ be about $20 or $25, but are a lot less right now. This is true for a lot of Shadows over Innistrad. The foils are a little underpriced, for reasons that aren’t clear. 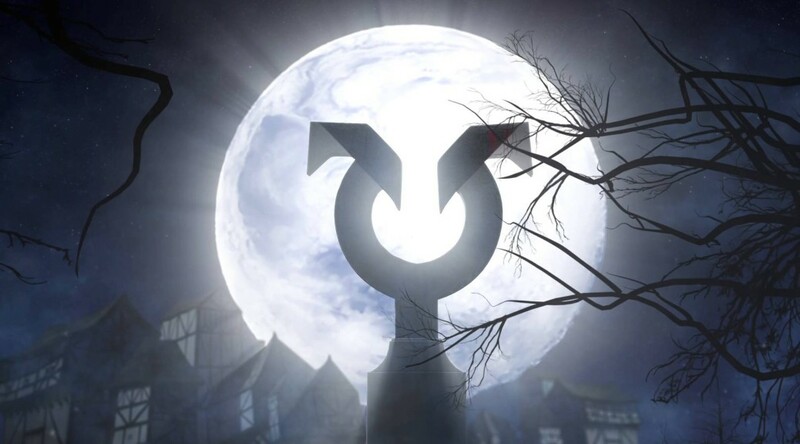 Will MTGO redemptions play a part? Is the demand for all the cards still high enough that the nonfoils have caught up to the foils? For instance, Declaration in Stone is $15, with the foils at $20. I think that in this case, demand for the card is so high that being foil is only worth a small amount. 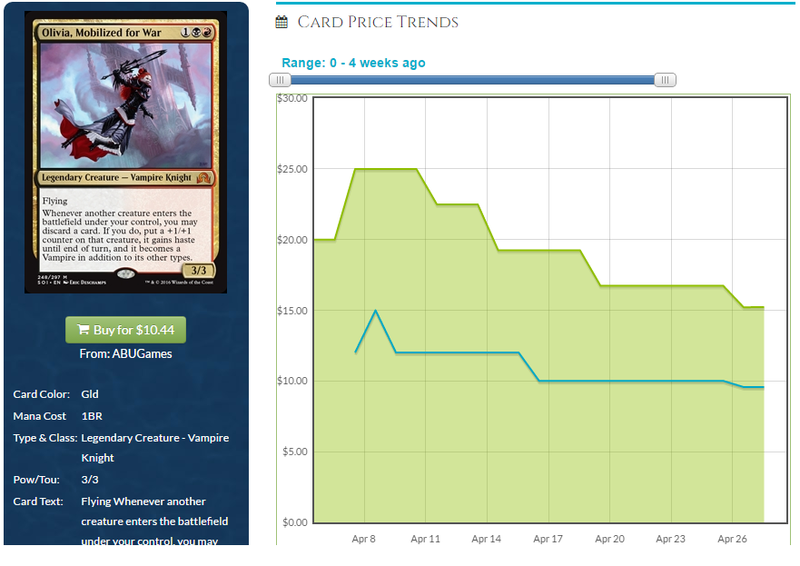 The same price pattern appears in Pyromancer’s Goggles, which spiked pretty hard the last few weeks, and the foil is only a few dollars more than the regular. Interestingly, there are foil versions of Dark Petition available for cheaper than the nonfoil, after the Pro Tour-induced spike. I think that the small gap between foil and nonfoil is due to Standard demand. I’m going to be keeping a close eye on these cards to see where they end up, because if this is a new pattern, I want to learn it right away. I can’t recall a time where so many foils were so close to nonfoils in price. Perhaps I didn’t notice it before? Maybe it’s an effect of two blocks or 18-month rotation? I’m honestly not sure, but if this is the new normal, it’s a significant shift. In the comments or the forums, come talk about the narrowing gap, and if there’s other trends I’ve missed. This has been a hard lesson to learn for me, but I took advantage of it at a prerelease when I traded my foil prerelease Arlin Kord and a packed non foil sorin for $90 of mostly modern staples and a few random stuff to make up the value. Great looking back several weeks later at the immediate $30 – $40 profit. Since you brought up the relatively low foil multipliers for SOI, I will mention that so far, I have pulled a higher percentage of foils from SOI booster packs than from any other set (other than Modern Masters boosters). I am currently sitting at 10 SOI foils from the 15 SOI boosters I have opened so far. Granted, they are: “Aim High,” “Crawling Sensation,” “Eerie Interlude,” “Fevered Visions,” “Gatstaf Arsonists,” “Graf Mole,” “Grotesque Mutation,” “Soul Swallower,” “Spiteful Motives,” and “Unruly Mob.” Has anyone else been pulling foils at this rate? 12 packs, 2 foils. I also went to a pre-release and 4 of us sitting in one area pulled ZERO foils in a total of 24 packs.